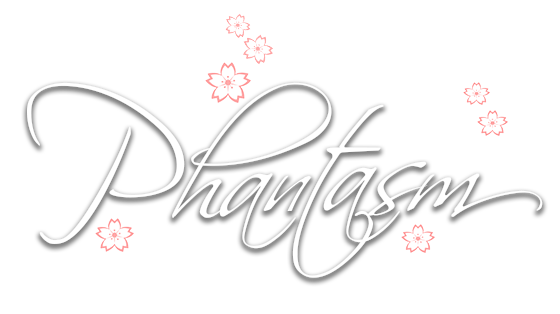 It's time to feed your senses and be treated like a princess! Had my hand and foot spa done with manicure and pedicure and I must say that their service is superb! 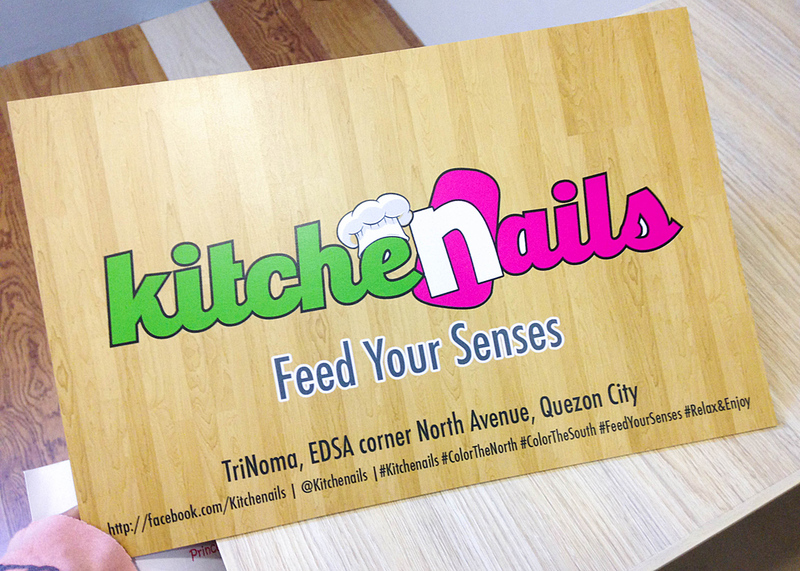 Kitchenails (Trinoma Branch) is located at the third floor of Trinoma near the Mindanao carpark. 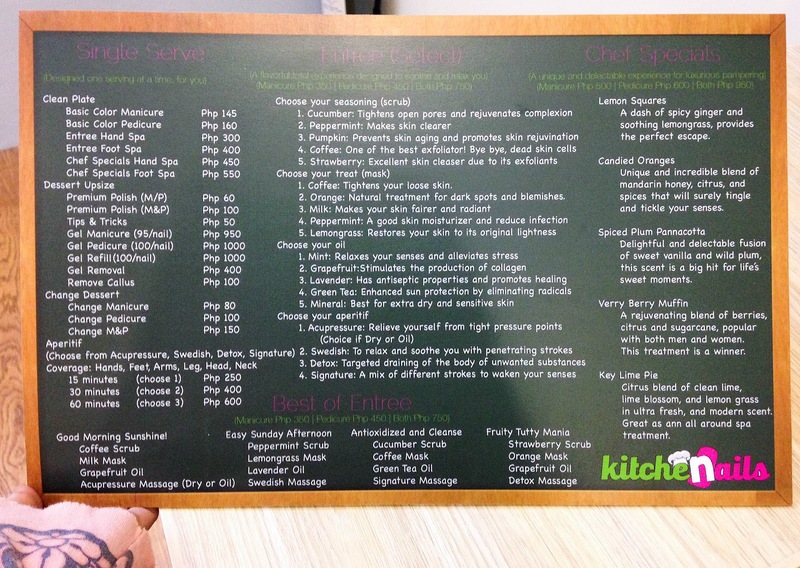 (See my previous blog post: REST AND RELAXATION AT KITCHENAILS). 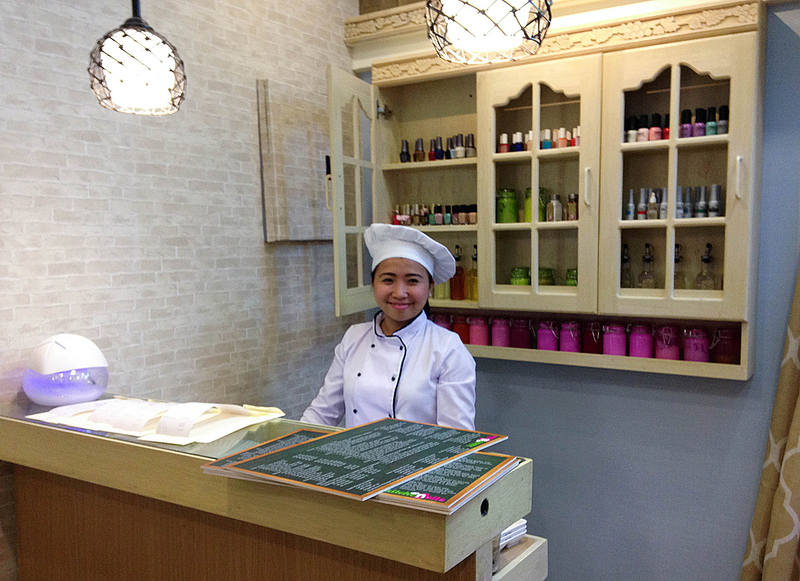 Upon entering, I was warmly welcomed by Chef Joan who takes the orders of the clients. 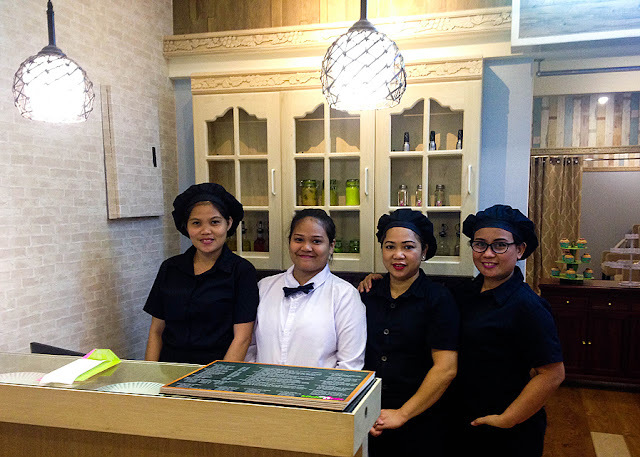 I was served by Wen and Liselle during my stay and they always work with a smile on their faces. I was well pampered by having my foot spa entree, pedicure, and manicure. The place is very cozy and comfortable. The staff made sure that I was really taken care of.